154 Hidden Court: Happy birthday to me! 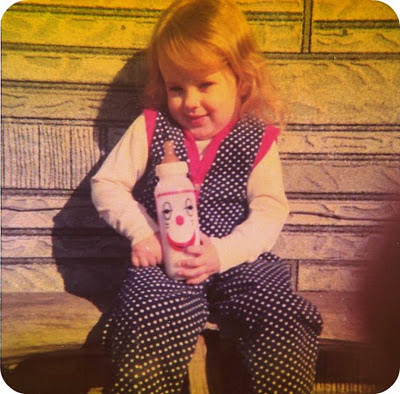 Me on my second birthday, rocking some polka dots and a scary clown bottle. The cuteness knows no bounds. That's pretty damn close to 40. But since 40 is the new 30, and 30 is the new 20, and I wouldn't, for any reason, want to go back into my teens, lets just call it 25ish and be done with it, ok? 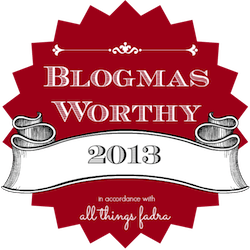 So anyway, today, for no particular reason other than I want to, and it's my blog so I do what I want, I thought I would share 38 random tidbits about me. I have kept the same houseplant alive for more than 15 years. I believe that this has made me unequivocally prepared for motherhood, where my main goal is to get them to adulthood alive and mostly intact. I hate seafood. Hate. It. Sometimes I lie and say I am allergic to it in order to fend off the people who say "But you can't really taste the fishy/crabby/shrimpy/nasty in it." I can taste it. Trust me. I still have all the bits I came into the world with - tonsils, gall bladder, both wisdom teeth. Yes, I said both. For the entirety of my childhood, I planned to be a psychologist when I grew up. I became a bookstore manager instead, which is pretty much the same thing. I'm a recovering nail biter, with many, many, many falls from the wagon. Is there a 12 step program for that? My hair is probably 80-90% gray. It's genetic I think. Other than some occasional root issues, you will NOT see what that looks like for at least 20 more years. Hair dye is miraculous. I hate to write with pens. Pencils are preferred. Mechanical pencils are best. .9 lead size is divine. I used to collect frogs - glass frogs, plastic frogs, ceramic frogs, metal frogs... Then RJ got me a real frog as a gift one year, and I managed to kill it within a month. I haven't felt quite the same about them since then. There are two songs that make me cry every single time I hear them - Blue Eyes Crying in the Rain by Willie Nelson, and He Stopped Loving Her Today by George Jones. Yep, I'm a flaming redneck. Deal with it. I learned to read when I was four, and haven't stopped since. I remember most of the first book I ever read out loud: "I see a bee! Yes, a bee! What do you see?" There are many, many, many books I love, but if I had to pick one favorite it would be To Kill a Mockingbird. Atticus Finch is my hero. I'm going to run a marathon this year. There. I said it out loud. No backing out now. I love to cook and I love to feed people. It makes me happier than just about anything when people enjoy what I've cooked for them. I think I came by that trait honestly. I'm a terrible procrastinator. Luckily, I also DESPISE being late for anything, so it usually all works out. I graduated second in my high school class. It was the first and last time on record that there was no Salutatorian speech. Nobody even bothered to ask me, because everyone knew I wouldn't do it. Public speaking is so not my thing. I'm a food hoarder. There is probably enough food in my house to feed my family for six three months. Don't judge. When the zombie apocalypse comes and you run out of food on day 4 you will be totally jealous. I drive my dream car. I have wanted a '66 Mustang convertible since I was a little girl, and now, thanks to RJ, I have one. And it's as wonderful as I thought it would be. I don't want a dishwasher and have absolutely no desire for one. I think dishes washed in a dishwasher smell funny and I don't like to eat off them. I consider myself to be handy, crafty and fairly intelligent. I can operate power tools with ease. I cannot, however, operate my tv, dvd player or video game systems most of the time. I often text pictures of all four of our remotes to RJ and say "I wanna watch a movie. Which buttons do I push?" My friend Natalie got me hooked on Fiestaware years ago, and now I have quite a collection. Looking at all the different colored plates and bowls and cups in my cabinet makes me insanely happy, and I can't imagine eating off boring, matching dishes ever again. My earliest memory was when I was not quite two, and my family was watching wrestling on not one, but two tvs - one black and white and one - GASP! - in color. Our family had just gotten our first color tv and we were apparently comparing the pictures. Redneck much? See number 9. My two celebrity crushes are Nathan Fillion and Noah Wyle. I stalk keep up with them online and watch everything they are in, even the really, really bad stuff. I once won $1000 on a scratch off lottery ticket. The problem was, I wasn't old enough to cash it in and my sister had to do it for me. She let me have the money, though. I'm the funniest person I know. I often randomly laugh out loud at something that is funny in my head. Or maybe I'm just crazy. Either way, it sure is fun up in here. Red is my favorite color. Most of the things in my house are red - my couches, my small appliances, my car... I sincerely hope this never changes, because all that red crap would be a BEAR to replace. I have always wanted to learn how to knit and/or crochet, but I am incapable of it. I have tried MANY times, and the closest I ever got was one really, really long crocheted string. Not much I could do with that, I'm afraid. Heights, snakes and lizards all make me uncomfortable. Not AFRAID, exactly, just AVOIDABLE AT ALL COSTS. I use exactly the same password for everything, so if anybody ever figures it out, I'm pretty well screwed. I make better potato salad than anyone in the world. This is a proven fact. However, I am the only person in my ENTIRE family who likes potato salad, so I almost never make it. My talents are so wasted. I played basketball for four years in elementary school. I wasn't very good, but if I didn't play, there wouldn't have been enough people for a team. It's ok, nobody else was all that good either. The first time I flew on an airplane was after I was a married adult. I didn't like it very much. I still don't. One of my feet is larger than the other. By quite a bit. This makes buying shoes - especially running shoes - kind of a challenge. Oh, and my toes are slightly webbed. Consider that little tidbit a bonus. Spring is my favorite season, followed by summer, then winter. I know there are a lot of fall fans out there, but I dislike it. Stupid leaves everywhere. I've personally owned six cars in my lifetime. Three of them have been Mustangs, but the one I drove the longest was a truck. Doncha just love a girl in a truck? I have zero interest in watching sports. When people talk about their favorite basketball, football and baseball teams, my eyes glaze over and a little drool escapes from the corner of my mouth. I had a really good time at a baseball game one time, but that may have just been the free beer. Someday I would like to go back to school. I have no clue what I would study, but I miss school. It's the one thing I've done in my life that I think I was really, really good at. Maybe I'll be a professional student someday. This post took me four days to write, and was really hard to do. I guess I'm not as interesting as I thought. If you are still reading at this point, you should be commended. Or maybe committed. Anyway, that's it. Happy birthday to me! blog. blot. whatever. I still love it. I hate to disagree, but if you eat spaghetti on a dish the only way to get said smell off of said dish is to put it in the dishwasher. A spaghetti smelling bowl when I'm eating ice cream freaks me the hell out! !